The former White House press secretary of President George W. Bush defended the ex-commander-in-chief against longstanding accusations his administration skewed or totally manufactured evidence of former Iraqi President Saddam Hussein’s arsenal of weapons of mass destruction to justify the 2003 invasion of the country. Ari Fleischer, who now serves as a media consultant and a member of the Republican Jewish Coalition, unleashed a series of tweets Wednesday denouncing the idea that “Bush lied, people died” as a “liberal myth” intended to discredit the former Republican leader. 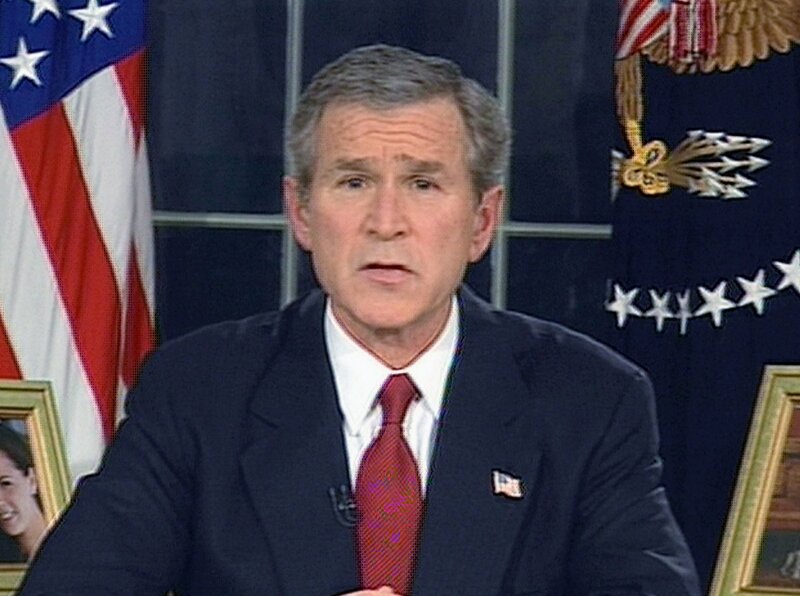 On the eve of the conflict’s 16th anniversary, he argued that “President Bush (and I as press secretary) faithfully and accurately reported to the public what the intelligence community concluded” at the time. “He created an elaborate system of lies to fool western intelligence services and he succeeded. He wanted us to believe he had WMDs,” Fleischer tweeted. “Cheney then repeatedly claimed there was intelligence showing the 9/11 ringleader had met with Iraqi intelligence in Prague. But the CIA had concluded this report was false. Another lie. Bush at one point said US intel didn’t know if Saddam already had a nuclear bomb. But US intel had concluded that at best there was a nuclear program but not one that had reached the point of producing a bomb. Another lie,” Corn tweeted. “Yes, there were some intel reports noting the existence of WMD programs. But the Bush-Cheney crowd exaggerated these findings and ignored or denied the contrary evidence,” he added. 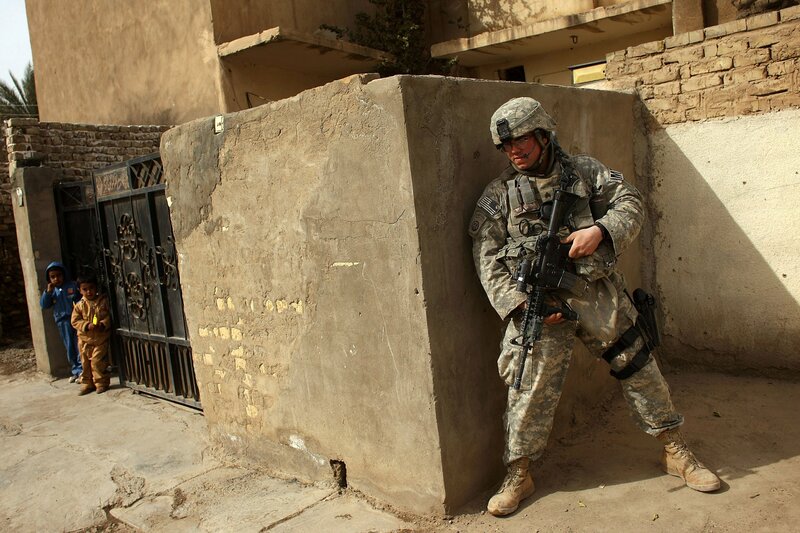 No official estimate of the death toll incurred by the Iraq War exists 16 years after the U.S.-led invasion. Brown University’s Watson Institute of International and Public Affairs produced in 2015 a conservative estimate of “165,000 Iraqi civilians killed by direct violence since the U.S. invasion.” The same institute found in November that the nation has spent approximately $6 trillion on conflicts that have killed at least 500,000 people since Bush launched the “War on Terror” in the wake of the 9/11 attacks. The downfall of Hussein’s government and his subsequent execution in 2006 were accompanied by violent Sunni and Shiite Muslim insurgencies. The former, initially led by Al-Qaeda, eventually produced the Islamic State militant group (ISIS), which took advantage of a West-backed uprising in Syria to spread there in 2013. The latter brought with it major, lasting influence from neighboring Iran. A Pew Research Center poll, taken last year during the 15th anniversary of the Iraq War, found that the U.S. public was still largely split on the decision to enter Iraq, with 48 percent arguing that the U.S. made the “wrong decision” and 43 percent believing the move was justified. While Trump has criticized fellow Republican Bush’s decision to invade Iraq, hardline administration officials such as White House national security adviser John Bolton—who advocated the 2003 war as Bush’s Under Secretary of State for Arms Control and International Security Affairs—have continued to defend it and even threatened similar action against other U.S. foes such as Iran, North Korea and Venezuela.